480 soldiers from 35 countries to have communal seder at resort hotel. 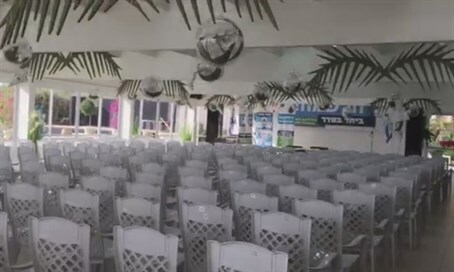 A full 480 lone soldiers from 35 countries will attend a massive Passover seder at the resort hotel of Givat Olga on Friday, in a special event sponsored by the Association for the Wellbeing of Israel's Soldiers (AWIS) and the Libi Foundation. Attendees will include IDF Chief of Staff Gadi Eizenkott and AWIS chairman Gen. Yoram Yair, both of whom are scheduled to welcome the soldiers before the beginning of the holiday Friday night. Wilf Schiff, president of the Canada Zionist Cultural Association (CZCA), will give gifts to the soldiers and conduct a special Army Radio program at the site about the event. Likewise IDF Manpower Directorate Gen. Hagai Topolansky, AWIS CEO Gen. Ilan Tal, and several top-ranking IDF officials are to be in attendance. The dining hall will be decorated grandly for the event. During the seder itself, the organizers will have six Afikomen matzahs hidden throughout the hall - according to tradition.